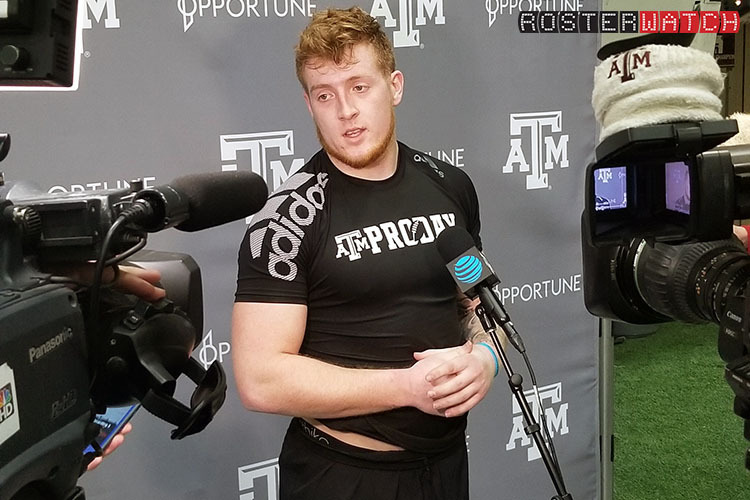 Check out raw footage from Texas A&M’s 2019 Pro Timing Day featuring RB Trayveon Williams and TE Jace Sternberger by going to the shared pro day video library available exclusively to RosterWatch PRO members. You can access videos from this workout and every stop we’ve ever made on the pro day tour dating back to 2013 by navigating to the access page at the bottom of your PRO DOWNLOADS SECTION. Enjoy! Not a PRO Member? Sign up here, it’s quick, easy, and the best value in fantasy.